These Sticky Millet Stacks make a pretty little presentation. They have a unique taste with a sweet surprise. 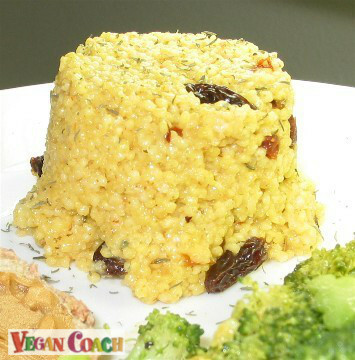 A fun way to use millet! Last night, after taking a peek in the fridge, I realized that there were no leftovers available, and no pre-cooked rice or beans left either. 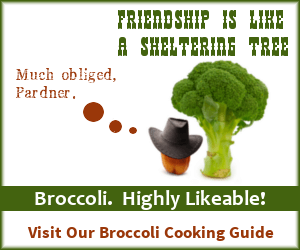 All I had was one lonely head of broccoli sitting in the vegetable drawer. Now, this might seem like a sad little situation. But I find it quite challenging to clean out the fridge of as much food as possible before heading to the grocery store. 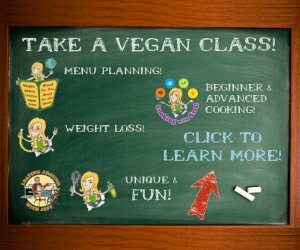 You'd be surprised how many new dishes you can create when you don't have your usual foods ready and available to use in your meals. So I turned to my freezer, where I keep all my whole grains. Barley? Not enough to make a meal. Millet? Well, I have to admit it isn't always easy to find new and interesting ways to prepare millet. This could prove to be a fun little challenge. Millet is such a well-known grain in many dry parts of the world. But it hasn't really caught on in the mainstream in these parts, which is really too bad because it's a highly nutritious, gluten-free grain. 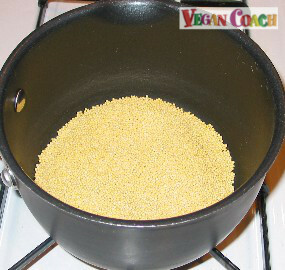 Millet is packed with magnesium, which helps those who suffer from asthma and migraines. It also contains a large amount of protein. And like most whole grains, helps to diminish your chances for heart trouble and can lower your cholesterol. As always, the first step in preparing any dish is to get a GENERAL idea of what flavors you're in the mood for. 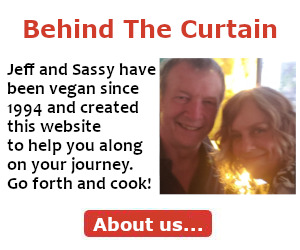 I began by looking through the Millet Vegan Flavor Matches. Tomatoes caught my eye, and although I didn't have any fresh tomatoes, I did have a jar of sun-dried tomatoes sitting in my fridge. How about some orange juice to add a bit of a sour taste? Raisins? That might be interesting and add a sweet little surprise to the dish. And veggie broth would provide a tasty salty flavor. With all these bold flavors rolling around I needed a fairly mellow herb, and thyme would fit the bill because it adds a subtle savory flavor without overpowering the dish. Finally, to balance things off, some black pepper would find its way in there somewhere and add a bitter element. 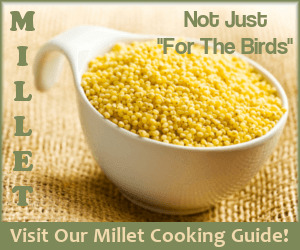 Millet can be made dry and fluffy or VERY moist like a creamy polenta. Although I didn't want to end up with a dry, fluffy millet, I also didn't want a completely creamy version either. 1. 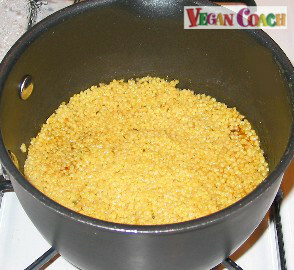 Add millet to a medium saucepan and toast, stirring often, until fragrant (5-10 minutes). Toasting will bring more flavor out of your grain. 2. Add veggie broth, cover, and cook until all the liquid has been absorbed. Do not stir while cooking. 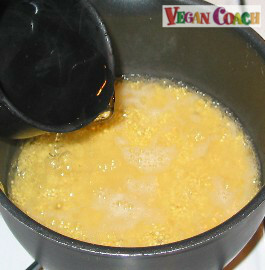 When all the broth has been absorbed, leave cover on the pot and remove from heat. Let sit while you prepare the other ingredients. 3. Place raisins in a bowl and cover with boiling water. Let sit for 5-10 minutes to soften. Drain. 4. While the raisins are soaking, chop sun-dried tomatoes. 5. Remove cover from millet. Your millet should remain on the sticky side. Add all the ingredients to the millet and stir with a small spatula, incorporating the ingredients well. 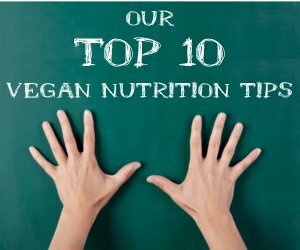 Serve Sticky Millet Stacks with a big side of lightly steamed broccoli and a thick piece of whole grain toast slathered with chunky peanut butter -- the tastes match perfectly. Next: From-Scratch Beets Recipe - Healthy and Delish!